A new 40-page report released by the Mineta Transportation Institute on Feb. 11 examines ways to recruit and retain more women in transportation, offering 11 recommendations to help improve both female- and minority-focused hiring practices. 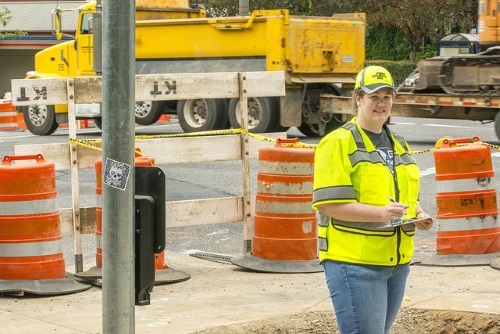 The group’s report – entitled Attracting and Retaining Women in the Transportation Industry and authored by MTI Research Associates Jodi Godfrey and Dr. Robert Bertini – found that while the proportion of women aged 16 and older in the U.S. workforce has grown steadily from 29.6 percent in 1950 to 47.5 percent in 2017, women accounted for less than 15 percent of the transportation industry’s workforce in 2017. A global study conducted in 2017 by consulting firm Pricewaterhouse Coopers echoed the need to focus on “diversity issues” as its research found over one fifth of the women said they experienced gender discrimination personally when applying or interviewing for a job. “One thing is clear: employers will need to do more than become better at looking outside when hiring female talent. They will also need to look inside, at their own processes, if they are to succeed in delivering gender inclusive recruitment,” PwC said. MTI’s research also found that, after recruitment, promotion and retention of women in the transportation industry becomes more challenging as it needs to be “multifaceted,” requiring “holistic approaches” and dedication from all levels of employment. Diversify the perception of the industry to better publicize the presence of women in the industry. Connect with women early, and not just early in their careers but early in their school years. Have a flexible and encouraging work culture to remove the stigmas of a male-dominated field. Attract a diverse talent pool that focuses on how organizations foster both communal and “agentic” or corporate goals. State department of transportation executives are already deploying those and other tactics as part of a broader effort to fill a multitude of jobs, from engineering and finance positions to front-line highway maintenance crews. For example, Roger Millar, secretary of the Washington State Department of Transportation, noted during a Jan. 15 panel discussion at the 2019 Transportation Research Board’s annual meeting in Washington, D.C. that two-thirds his agency’s employees are on “flexible work schedules” that are not traditional “nine-to-five” shifts, with another 15 percent telecommuting. The agency is also pilot testing in-house daycare in order to retain new parents. “Daycare is expensive and by doing this we’re building loyalty with those parents; they end up sticking around for a while,” he noted. Workforce recruitment and retention is also a critical issue to Carlos Braceras, executive director of the Utah Department of Transportation and the 2018-2019 president of the American Association of State Highway and Transportation Officials – to the point where he’s made it one of his key “emphasis areas” for his one-year leadership term at AASHTO.